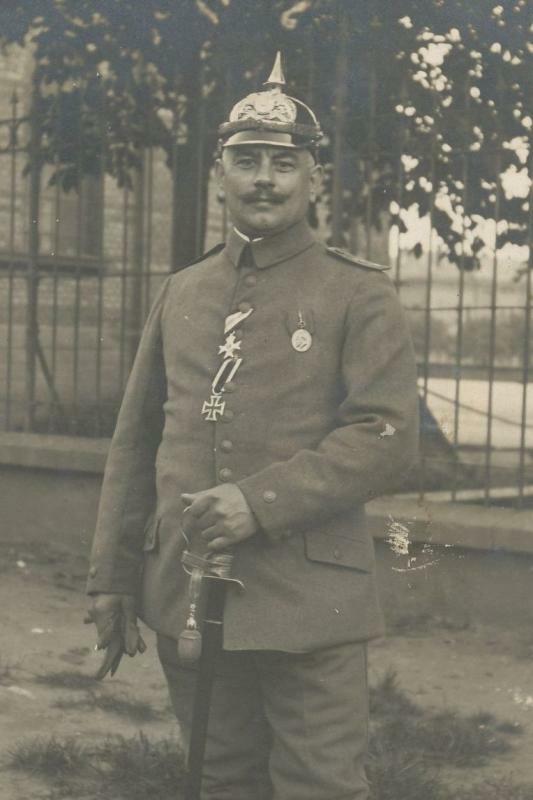 I doubt this was to a Bavarian officer... rather a Prussian one who got Bavarian MVO, and choose to wear it in front of his war effort cross. Are you sure? 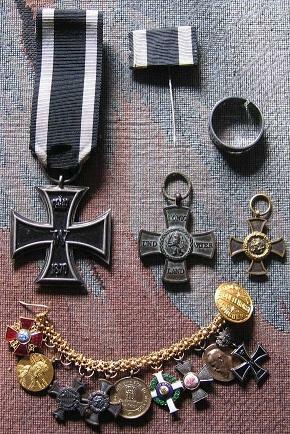 I have a Bavarian document group with a man who got the prussian war service cross ? Should be identifiable, but still eludes me. 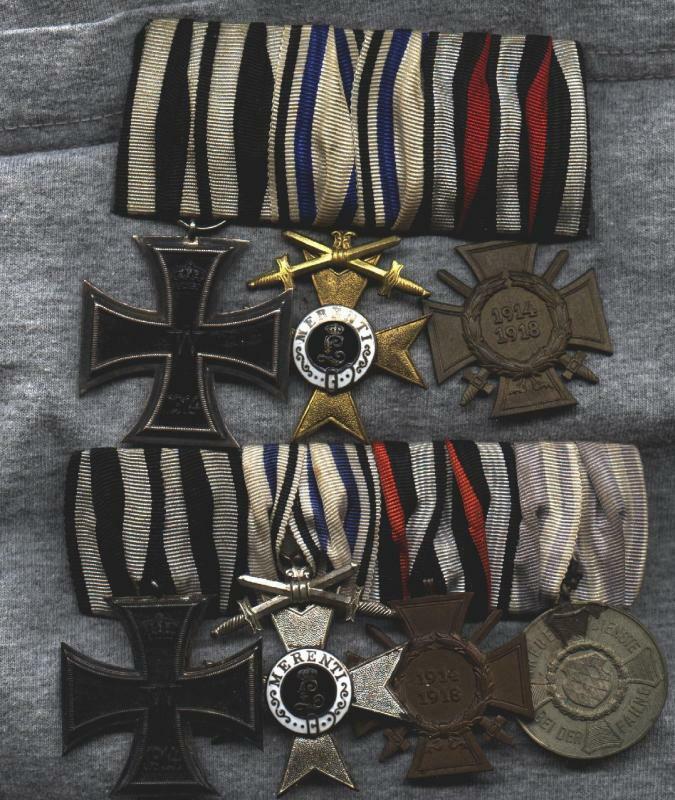 Iron Cross 2nd Class, Bavarian Military Merit Order 4th Class with Swords, Saxe-Meiningen Honor Cross for Merit in War, Jubilee Medal of the Bavarian Army, Austrian Military Merit Cross 3rd Class with War Decoration, Bulgarian Military Merit Order on the ribbon of the Military Order "For Bravery". 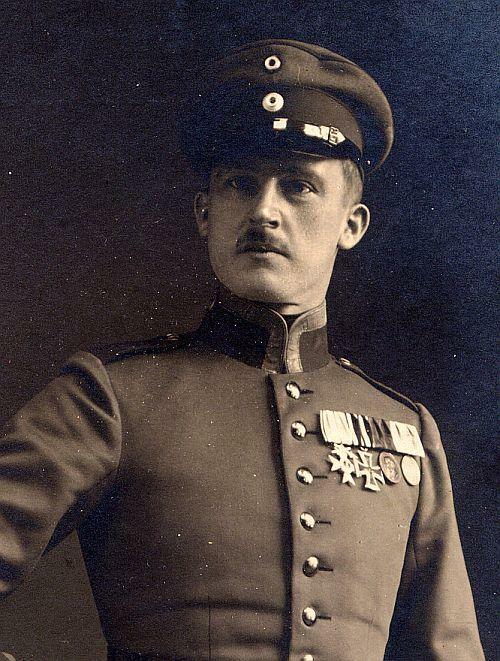 Tentatively identified to Lt.d.R. 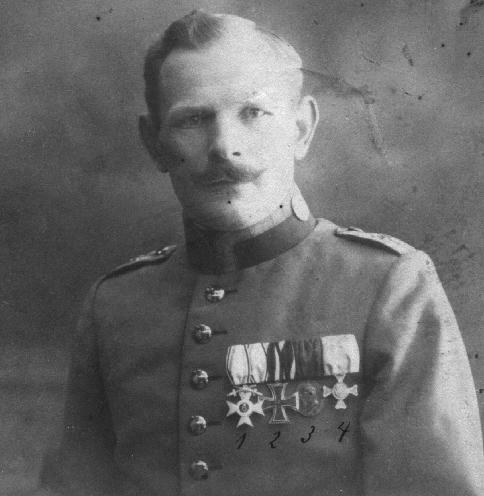 Ludwig Dürr of the 4th Bavarian Infantry Regiment "König Wilhelm von Württemberg". 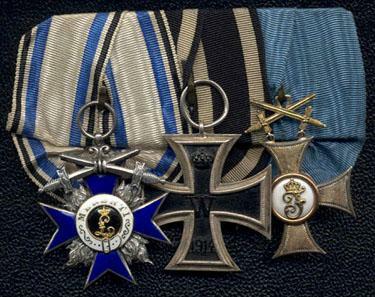 Iron Cross 2nd Class, Bavarian Military Merit Order 4th Class with Crown and Swords, Württemberg Friedrich Order Knight 2nd Class with Swords, Honor Cross for Combatants. Likely unidentifiable, but possibly also from 4.bay.IR, given the Württemberg connection. 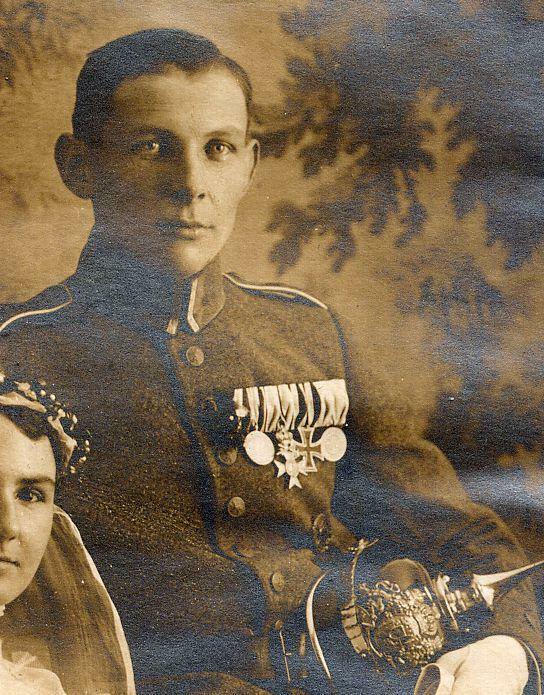 My 12 BIR LT has this combination with Württemberg, fantastic bar!!! but this first class is a fake. 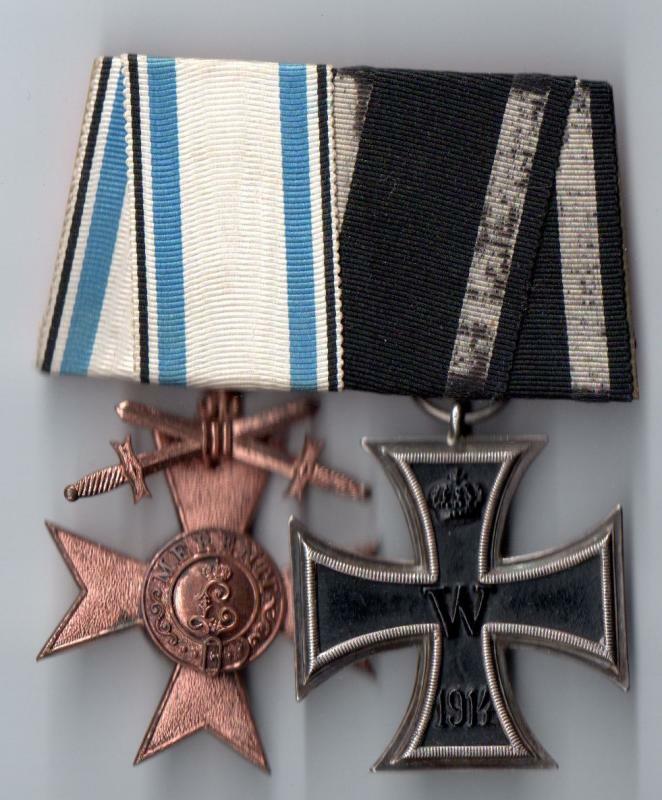 The cross is the latest variant of the producer Leser. 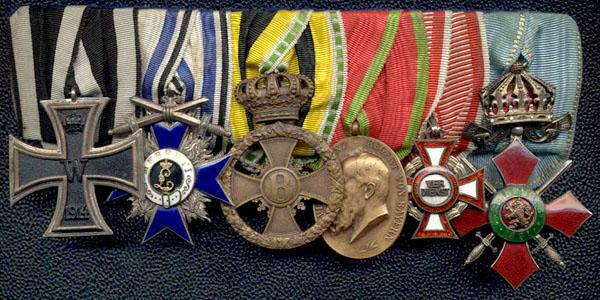 This class was only produced by the first variant. 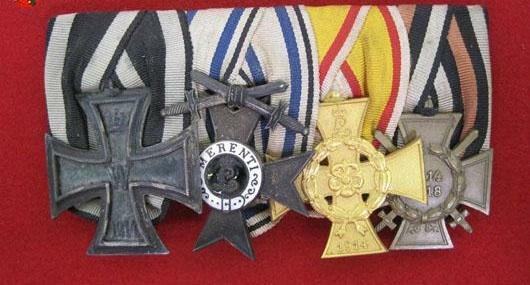 About 150 crosses in this class had been awarded. 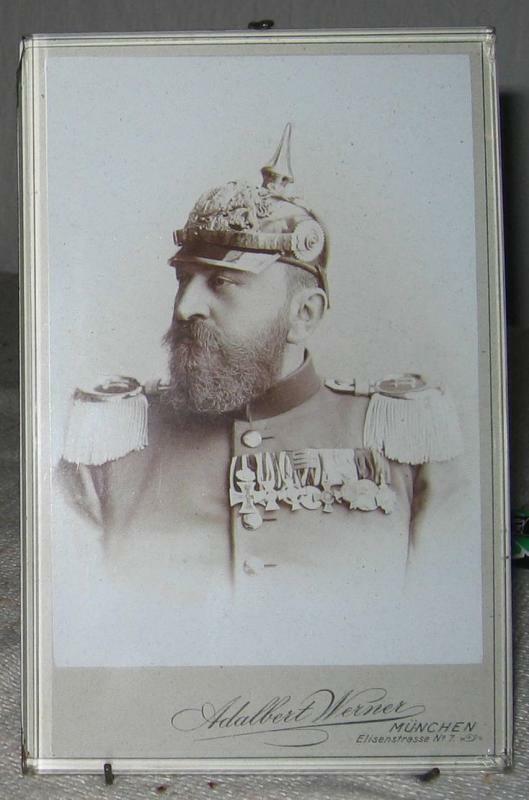 Most go to officials in the bavarian Ministry of War. 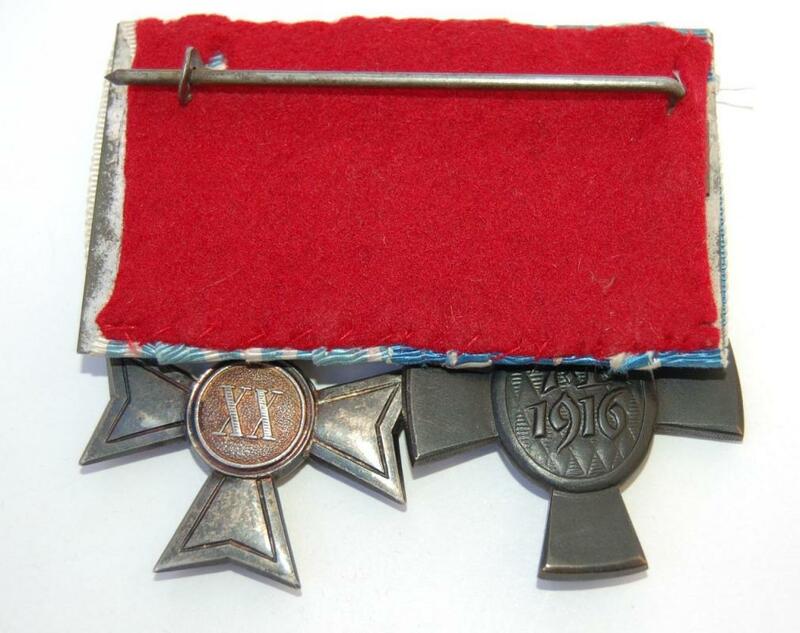 It was awarded with another ribbon for noncombattants. 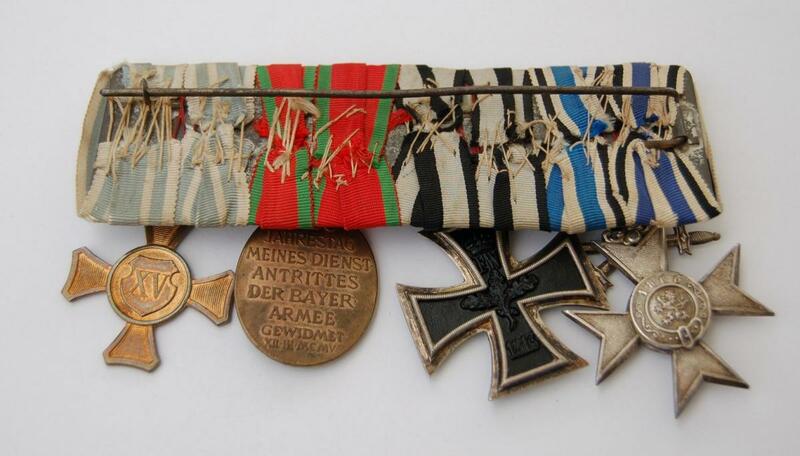 About 7 - 10 crosses were awarded with the combattant-ribbon like yours. 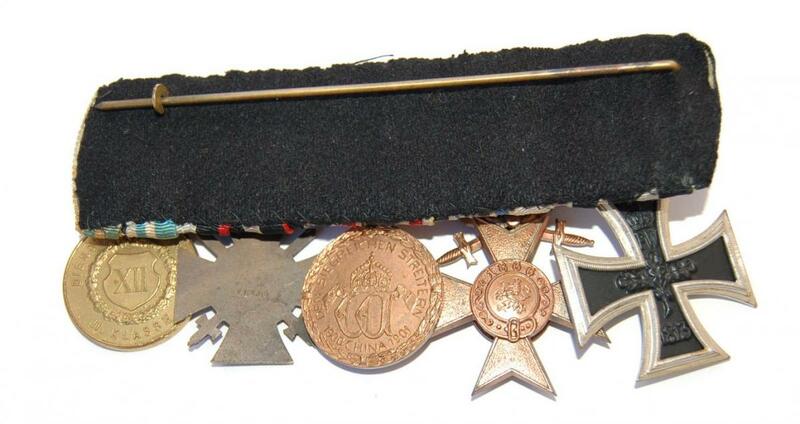 third ribbon for non-combattants and military officials. Is it 1st class with crown without swords? 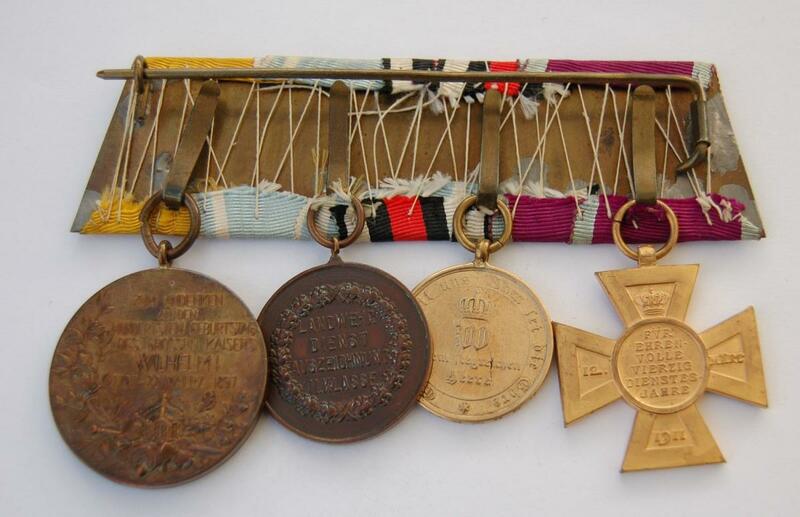 sorry, but your bravery-medal is a post-war-medal. 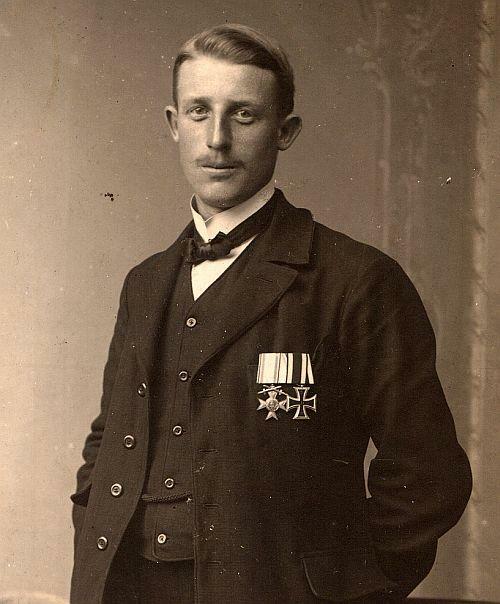 I've got a bar without bravery-medal an I've added the same kind as you on it. 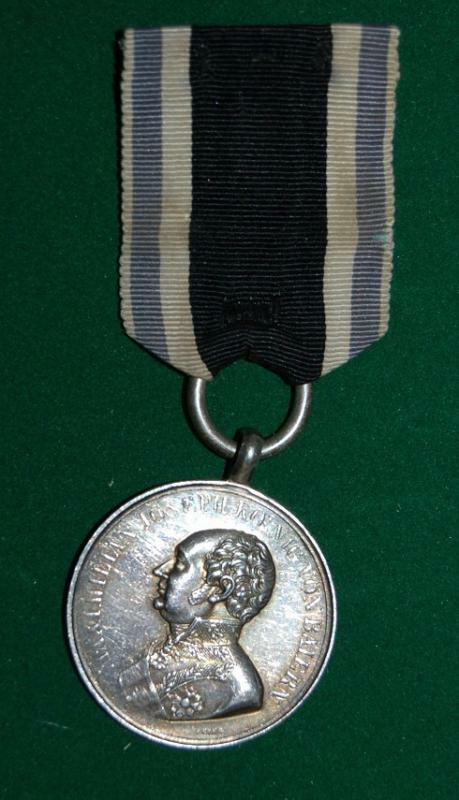 For example, my regular medal. 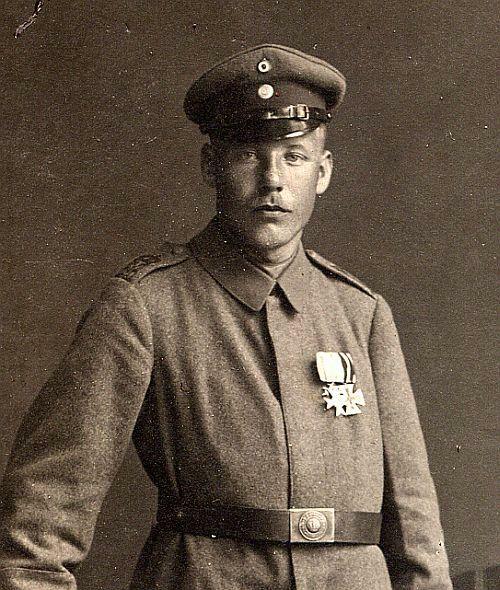 The portrait is detailt and the medal is not so heavy. Look on lion's crown, the original has a square and the copy a round shape. 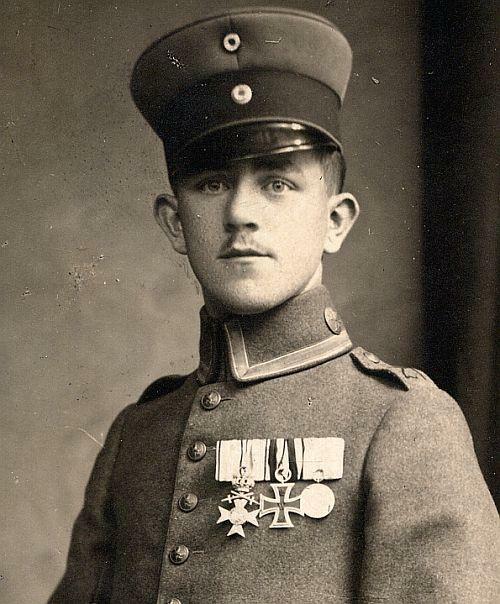 nice picture from a "Offiziersstellvertreter" . 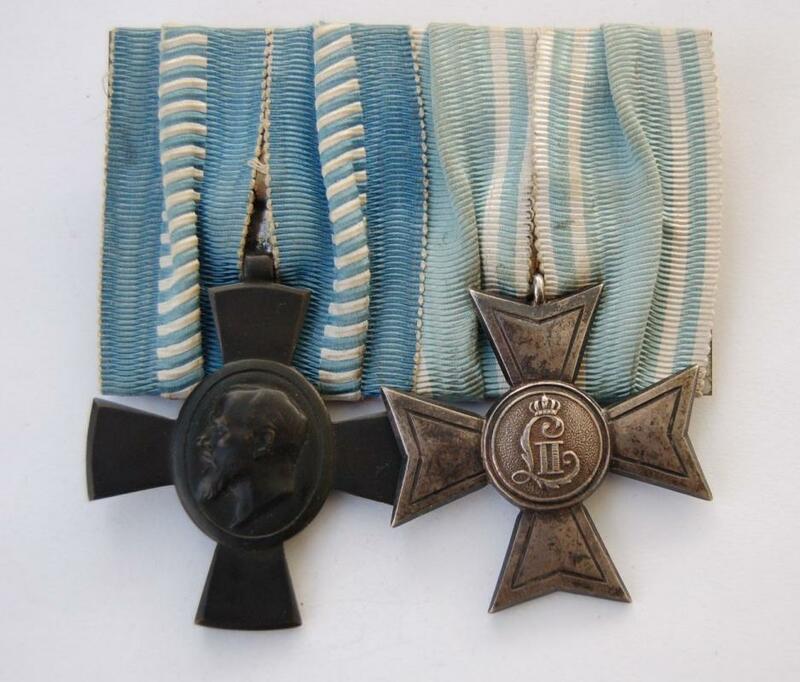 The cross without swords was awarded till 1915. I'm not sure if it is a first or a second class. 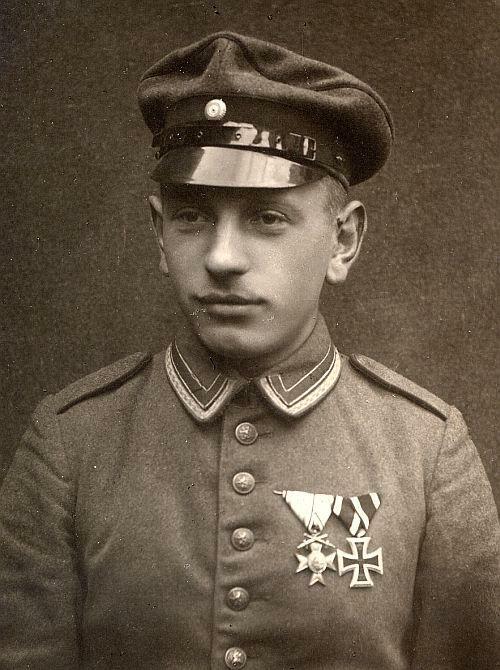 You see the ribbon for non-combattants (Band für Kriegsverdienst). 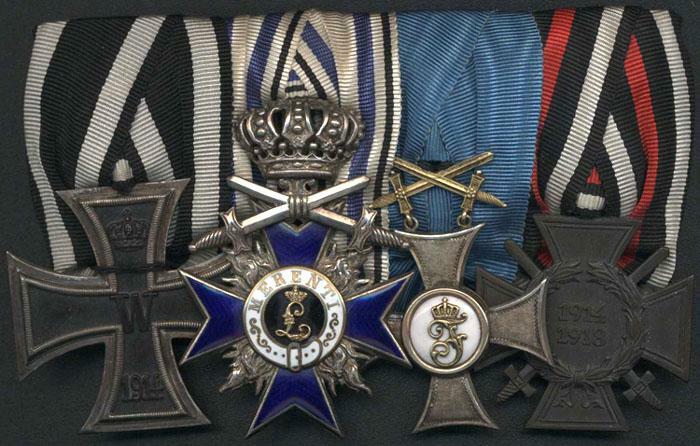 Since 1915 the decoration was awardes only with swords. Owner of swordless crosses are allowed to put on the swords . 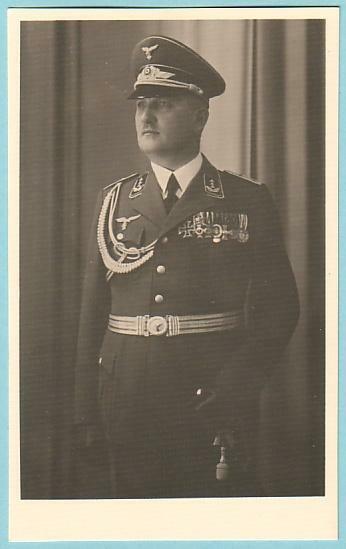 Here's one with a nice Godet tailor's label. the decorations are the originals. 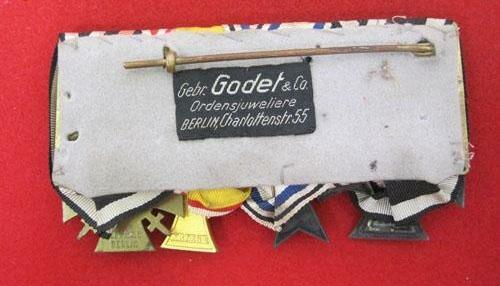 Only the bar ist manufactured by Godet. 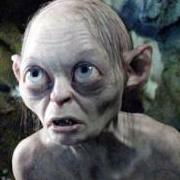 why is the EK and the MVK in such a bad state? The ribbons look quite good. The MVK is a late second class from the manufacturer Leser. here a bavarian official bar. 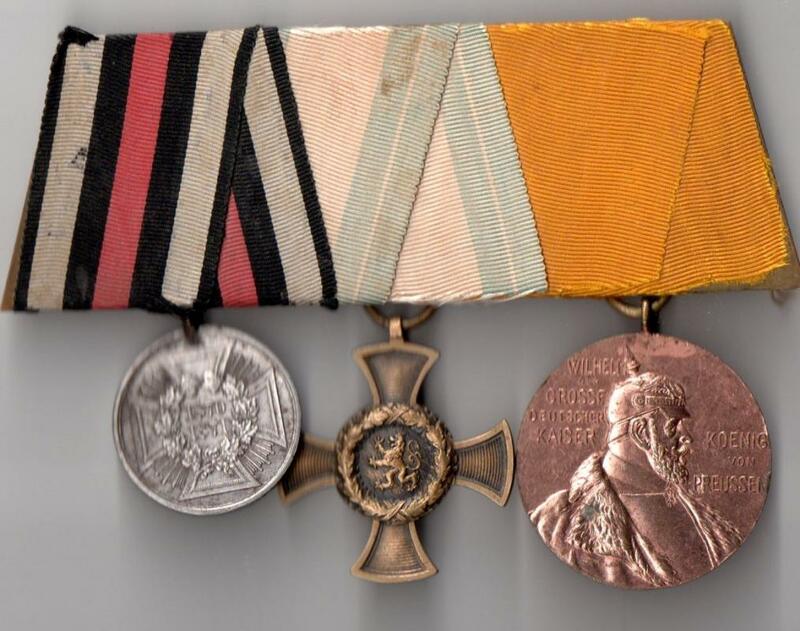 Luitpoldkreuz for 40 years of service (1911), war medal 1871, servicemedal Landwehr, Centenarmedaillie. 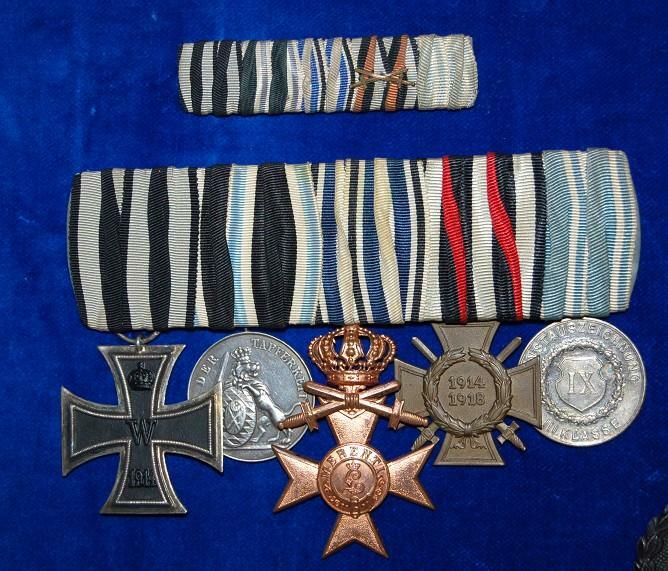 The ribbons are in a very good condition. 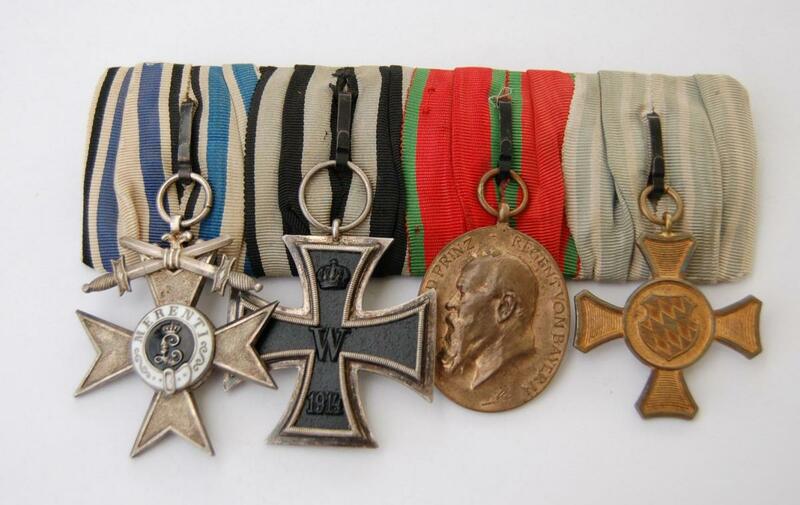 The medals were "polished" by a earlier collector. here a bar for a China-veteran. The bar was built in the thirties. The EK is a post-war model, as well the chinamedal. 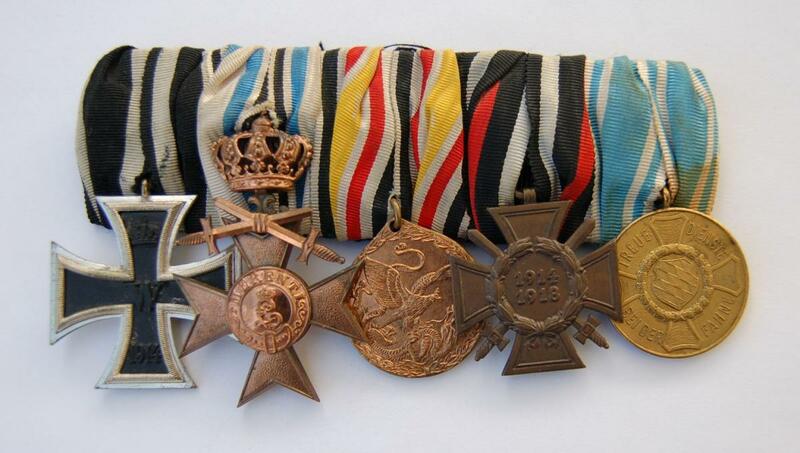 The servicemedal ist for 12 years and the MVK is a type 2 model from the manufacturer Lauer. My first bavarian bar of a Vizefeldwebel and I like it very much. 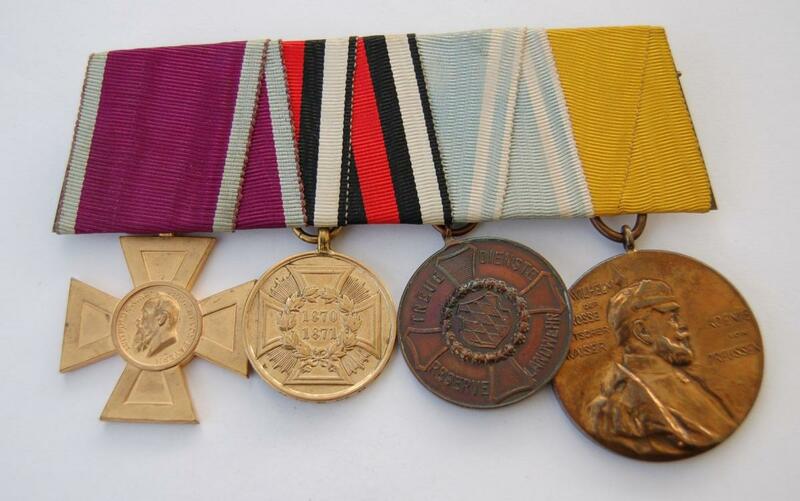 MVK 2.class from Hemmerle, EK II, Jubileemedal, servicemedal 15 years.